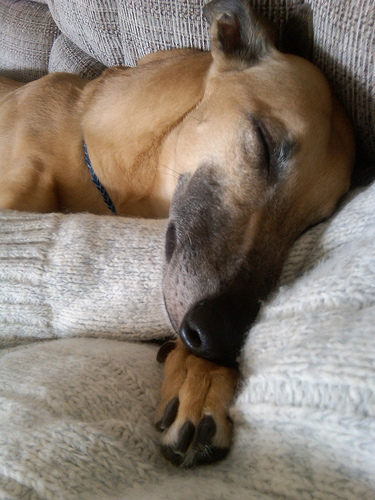 Every Greyhound in the Right Home ~ Every Home With The Right Support! Origin of dogs: Primarily Florida and Alabama Race tracks with a few coming from Kansas farms and West Virginia Tracks. Locations Covered: State of South Carolina and bordering areas of Georgia, Tennessee, and North Carolina. Special adoptions to farther areas including Florida, Indiana, Missouri and Virginia. Primary Group Vets: Dr. Jenifer Dixon DVM & Staff, Clinton Animal Hospital, Clinton, SC (864) 833-2487 and Dr Paula Watkins Chinquapin Animal Hospital Greenwood SC. Satellite Vets: Charleston, Greenville, Charlotte, N. Myrtle Beach, Myrtle Beach, Florence, Anderson and Augusta, Georgia. Tax Status: SC incorporated non-profit charity since 1998; 501C3 Federal Tax Exempt as of December 21, 2004. 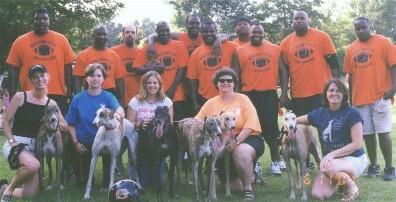 Greyhound Crossroads is also a registered non profit in the states of North Carolina and Georgia. Financial Information about this Organization and a copy of its license are available form the North Carolina State Solicitation Licensing Branch at 919-814-5400. The license is not an endorsement by the State. What does Greyhound Crossroads stand for? In helping every Greyhound who needs us, regardless of place of origin, we place AKC show Greyhounds as well as retired racers and Greyhounds that never race. In the equality of love, without discrimination to race, creed, national origin, or belief. In the formation of a group based on support, guidance, and fun for all members. In knowing each of our prospective families & each of our available dogs, and making the best possible match. In creating a warm, friendly group for our families to stay in touch & grow together. Providing an opportunity for every member to be involved as much as they wish, using their own skills, abilities, and resources. What is the official Greyhound Crossroads opinion on Racing? 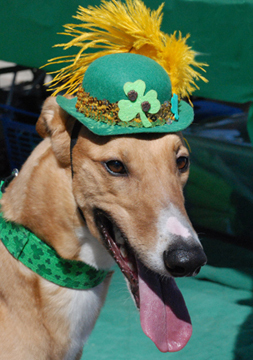 We are proudly a Pro-Greyhound = Pro-Racing Adoption Group. Through the years at GC, we have always felt that it is best for the dogs and our adopters to work WITH the racing industry. 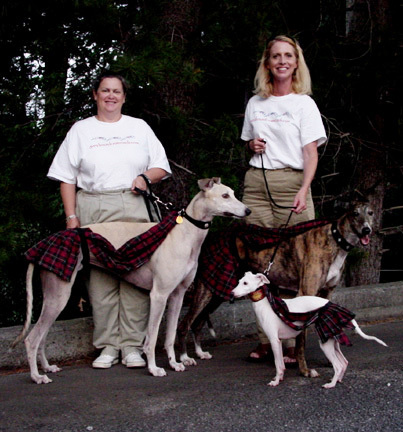 Since the very beginning our greyhounds came from people within the racing industry that loved greyhounds and believed greyhounds should be pets after retirement and made it happen. We have an excellent working relationship with owners, trainers, farms and kennels in FL, and many other states. By working with the people that own, race and raise greyhounds, we get valuable information about the dogs from the people that know them best and care about them the most. We schedule educational trips to tracks, racing kennels and farms so our adopters can form their own opinion based on facts and personal experience rather than rumors. Among our members we have families who regularly attend races, people that own racing dogs and people who don't care for racing. Our official stance is that we believe that ending Greyhound Racing will end the Racing Greyhound as we know it. We believe that athletic, working dogs are healthy, happy dogs. Placing retired greyhounds in homes wanting adult greyhounds is a win for the adopters, the greyhounds and everyone involved in their previous lives as racers. We are AGAINST abuse, wherever it happens, and FOR Greyhounds, wherever they are found. As such we accept all NGA (National Greyhound Association) greyhounds, as well as AKC dogs, rescues from Adopters, rehomes, and all greyhounds in need with equal welcome regardless of their original location or previous adoption history.